This post is an update on my peer-to-peer (P2P) lending results through 2016. I use P2P investing as part of my retirement income strategy. For background on how we got to this point, see My Entry into Peer-to-Peer Lending and An Update on My Peer-to-Peer Lending Investments. In addition to results I’ll cover my thoughts on the two platforms I use as well as give some next steps. Lending Club had the scandal of all scandals. Their CEO was fired after the board “found problems with its lending practices and what it called the executive’s lack of disclosure surrounding a personal investment.” Yikes. As you might imagine, this news made me hesitant about investing more with Lending Club (and even worried about the amount I already had with them). But I decided to wait it out and things calmed down a bit. Lending Club then sent me an offer — invest various amounts and get a bonus. So in June I added $25k to my loans and ultimately received a $500 bonus for it. That said, I didn’t feel comfortable with how much money I had at Lending Club. So in September I stopped automatic investments and started pulling cash out. My current balance with them is about $110k. Prosper was much easier. I just let the $25k I invested with them last February automatically reinvest. I didn’t add or withdraw anything. All of my loans are funded at $25 only. Yes, I have a gazillion loans all at $25 each. I can’t find an estimated return rate for these loans like Lending Club has. For Lending Club, I have earned 4.27% to date after accounting for defaults. For Prosper, I have earned 13.24% to date after accounting for defaults. The Lending Club results have been depressed by two things: 1) higher levels of defaults overall and 2) money “sitting around” in the account and not invested. The former may be related to the CEO’s issues — perhaps people thought it was ok to default given the company was “shady”. Or perhaps Lending Club just attracts people more likely to default. The latter is caused by me as I stopped automatic investing, let cash accumulate to a couple thousand dollars, and then transferred it to my checking account. Of course I’m thrilled with the Prosper results. I hope they can end up at least in the 7% to 8% range when all is said and done. I still prefer the Lending Club interface to Prosper’s, but Prosper recently changed theirs and it’s much better. I just think the Lending Club site is more intuitive and user-friendly. That said, both of the sites are pretty easy to use, especially with the automatic investing. You simply set what you want, transfer the money, and they handle the rest. For 2017 my plan is to withdraw funds at Lending Club to get down to $50,000 invested. I want to add an extra $25k to Prosper, also giving me $50k with them. At that time I’ll have $100k in P2P lending and that seems like a good amount for the time being. If these can generate 7% return total, I’ll be fine. If not, I may look to reallocate more of the money, though options to earn even 5% are limited. I’ll keep you informed if there are any significant changes to this plan. Any thoughts or advice for me? I like Lending Club’s automatic reinvestment feature. I set certain criteria for the new investments, and the platform automatically invests loan proceeds back into new loans. That way I don’t have idle cash sitting in the account. It’s truly made Lending Club a passive investment for me. I work at a bank and I perform stress testing on the loan portfolios; the question we ask ourselves every day is “in a downturn scenario, how much could we lose due to defaults?” Do you have the option of specifying the collateral? I.e. you only want to invest in student loans, or loans used to buy a house or start a business, etc, OR is this baked into the risk rating types? I believe P2P lending is a decent way to diversify your income and get exposure to other asset classes. You are doing it right with investing large sums and dividing it up across many, many loans. I believe there are programs where you can download all potential loans, slice and dice them, and pick what you want, but I don’t think that functionality comes within LC itself. Perhaps someone more knowledgeable of P2P lending can answer that. ESI – I have approximately $11k, but I have played around with the LC lending criteria. In addition to selecting the loan grade allocations (A-G loans), I also eliminate certain types of loans from being eligible for auto investing. For example, I specify that I do not want to provide loans for home improvements, car purchases, medical bills, business loans, wedding expenses, vacations, car financing, or major purchases. I know that substantially limits my pool of eligible borrowers, but I find those more susceptible to default and really most of these loans don’t really economically enhance the borrower’s economic situation. As such, I am limited to giving loans that relate to debt consolidation, refinancing credit cards, and solar projects. In addition, I also set criteria for minimum income levels, credit scores, and number of credit inquiries in the past 6 months. Over the last year my return has avg 9.36%, which isn’t bad in my opinion. With peer-to-peer, I am somewhat frustrated that some loans that have defaulted, the borrow defaulted within 3 months of the loan funding. Not sure if people are gaming the system, but it is just mind boggling to someone who is financially responsible would borrow substantial sums of money with the likely intent of defaulting almost immediately thereafter. Can you do all this sorting within LC’s system or do you need outside help/programs? This is all done through LC itself. In the automatic investing pages, you can create filters for what types of loans are auto invested. There is a link near the bottom of the page that reads “special instructions.” LC warns you that too many filters may increase the time for funding new loans. I haven’t had a huge issue for reinvestments, but I did notice quite a lag time when I added $5k to my account. It took several weeks for the $5k to be fully invested. P2P is not for everyone. 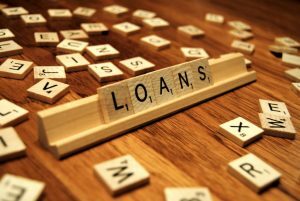 You do need to invest a considerable amount of money in order to off set the losses on loans that will go bad and written off. I don’t want to invest that amount of money in order to make it work properly. I am finding P2P is not for me and now I am slowly withdrawing as my loans are paying out. My returns are OK but not great. Personally I will stick with looking into high yield bond funds, long term investment grade funds and intermediate term investment grade funds as that is more my speed. That’s a considerable sum invested in P2P! I never got into it because it wasn’t permitted in Maryland but I completely get the appeal. Does your LC return include the bonus? While it won’t come close to pulling the returns closer to Prosper, it does help a bit (if it’s not included). I’ve started looking some of the real estate crowdfunding sites and while there’s no guarantee it’s any better (less likely to default), it feels better with an asset behind the loan. The minimum investment size is much greater though, so there’s that. I do not include the most recent bonus or previous bonuses, so you’re right, those would raise my return rates. I’ve considered real estate crowdfunding as well, but it’s so new I’m waiting to see how it works for others before I jump in. Once again I’ve been waiting for this update… your initial post was what got me to finally pull the trigger and look into P2P lending. So I was curious how your massive investment was doing. I’m surprised by your defaults and lates as a proportion of your notes.. but I agree with some of your theories. I haven’t hit 1 year yet on my initial LC investment of 100 loans. I’ve been adding 4 and lately 5 loans every week.. my breakdown skews heavily to A/B (54%) and C (35%). I’ve only had one default so far, but of my 274 loans that are still out I have 2 late and 3 in grace period. I had 1 default and 0 late before Christmas; I’m wondering if there is a connection there! I have so little invested I’m not too concerned, but after the 1 year mark (July) I may drop down the investment if defaults look bad from those initial 100. Thanks for sharing your results, this is great to see! I have long thought about putting some money into Lending Club and others like it, but a combination of fear about the impact of defaults on my returns, and a general sense of poor reward for the risk have caused me to hesitate. At 4.27% you are below the claimed 5.53% – 8.94%. Did Lending Club state that 100% of investors had returns in that banding? Anyway, I hope by the time your investment matures you will be up closer to the 8.94% mark! Then it would have really been worth it! No, it’s made clear that those are estimates. In addition, my guess is that the returns are for automatic investing, so the money doesn’t sit idle (which depresses return rate). Since I turned of auto investing, I had a part in lowering the rate of return. +1 for refining your search criteria. I view that as a must-take action and a periodic review through the free tool at NSR Invest gave me the data I needed to make a few tweaks to my LC filters. I was getting hit in a certain credit score and income range. I’m still in the process of refining my loan grade mix but trending in the right direction and currently at 7% returns after a year or so. Has anyone had any problems with getting new loans in prosper lately? I’ve only had one new loan purchase in 2017 and haven’t touched my filters in months. I even added A grade back into the mix and still nothing. My Prosper loans seem to be filling fairly quickly. Interesting to see the results and experience you’ve had so far. I also started with Lending Club a couple years ago after observing them for a while and hearing good things from some relatives using them. After two years though, I haven’t been terribly impressed. This last year, with a portfolio similar to yours, I only made an ROI of under 1%. Not cool. I wouldn’t put more than 100k on LC unless I have enough capital gains to offset charge offs. I once had 300k in LC before I realized its tax inefficiency issue. I liquidated my portfolio last 2 years. My only use of LC is folio backdoor Roth (maximize return on Roth account, and maximize charge off on taxable account by transferring late notes). There are P2P specialized funds that give decent return and liquidation. I invested with one of them and so far I am doing very well. 1. You have the ability to see the loan performance over a set time period. Ideally, I like to see 8-10 timely payments. 2. Many times, the seller is looking to offload the loan for liquidity and will sell at a discount. The one downside is that, even though LC has significantly improved their trading platform, it is still very much a manual process. ESI – I really enjoy your site (especially your interviews) and have referred it to several people. I had never invested in P2P lending before but I figured even if I lost some of my principal investment it was worth it if my son gained insight into basic financial fundamentals — which he most definitely did. And, if the story would have ended there it would have been all upside. But, the story doesn't end there and the rest of the story is definitely more muddied. I still want to love LC but the romance is over and I am going back to my tried and true Vanguard Index funds. Thanks! I appreciate you passing my site along! 1. It is very feasible to buy funds/stocks that grow their dividends over time. I recommend “The Ultimate Dividend Playbook” by Josh Peters as a must read financial book. “The safest dividend is the one that’s just been raised!” is his motto. 2. I love to buy income producers that have crashed in value, yet are still valuable companies or are entire sectors that have hit a crisis and dropped by 30-70%. Energy, metals/mining, and industrials come to mind in early 2016. Look up XLE, XME, FMO – see those 45 degree downward sloping lines? These are funds / ETFs that own some of the most valuable firms in the world….all on sale at 40-70% discounts. All funds pay dividends, and when one buys an ETF that pays 3% when it’s fully valued and it drops 50% and doesn’t cut the dividend….it’s suddenly a 6% yield. Even if the dividend IS cut, it is restored over the next years, and you bought it at half price. Cool, huh? 3. I love REITs. I see you have a healthy real estate portfolio. With REITs you can follow a similar “slice and dice” approach to the entire real estate market, and buy low, as long as you have some common sense about it. For example, right now retail REITs are on sale, so logic says, “buy it.” however, common sense says, “Heck no, Amazon is going to steamroll that entire sector” so I leave it alone. However, the are REITS that own data centers, or industrial sites, or oil pipelines, or nursing homes, on and on. Buy the beaten down ones each December/January, earn outsized dividends. Lately I’ve been buying OHI, CCP, CHCT, but there are many in the nursing home/medical world, and it’s a growth field, so buying discounted REITs in a growth industry = profit. PS: most REITs grow dividends at a 3-8% rate annual. I don’t care what number you start with, if you add 6% more to it for 25 years – wow. That’s a sample of the journey I’ve started. I hope it piques your interest as well. PS: SeekingAlpha.com is the bomb for folks like us. Get a free membership and read Brad Thomas, the expert on REITs there. I’ve been doing well with lending club the past year, and recently increased my investment and added Prosper to the mix. My new accounts are still investing, so the jury’s still out. I also restrict loans to debt consolidation, and on LC to homeowners. Prosper claims to allow the homeowner restriction but it’s broken – no loans appear on search. My biggest concern is the long term default rate, and the potential impact of another 2008. I started investing with LC and Prosper about three years ago, and had about $15,000 invested on each site. I’m now in the process of pulling my money out. Basically, in a portfolio weighted towards C D and E loans I broke even last year. During the last three years I’ve seen the average returns touted on LC decrease from about 8% to about 4%. Clearly something has changed–and if it was the economy as a whole, I’d take my lumps and say it was a risk I knew I was taking when I invested the money. However, the economy as a whole is doing fine–what has changed has been the underwriting and pricing of the loans. I have no control over how LC prices loans or underwrites them, and clearly they aren’t doing a good job. The P2P and P2B business has evolved a lot since 2017. However, you might need to look at platforms outside the US. Most platforms are open to international investors. There are so many good sites and investment opportunities now that offer buyback guarantee so you don’t have to deal with defaults. I have invested about $100.000 into this new asset class. Every month I report about the results in real numbers so you can see how the investments perform. You might want to take a second look.